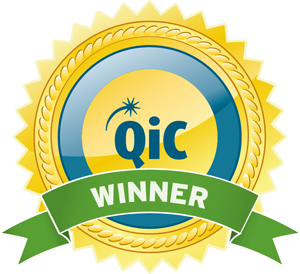 This initiative has established an innovative delivery model for testing and treatment of Hepatitis C in a population receiving opioid replacement therapy (ORT) from their community pharmacy. The greatest risk of acquiring HCV in the UK is through injecting drug use and the largest single infected group are the cohort prescribed ORT – but only small numbers of highly motivated patients from this cohort make it through current NHS pathways to be offered HCV anti-viral therapy. Using focus groups, the team explored perceptions of using community pharmacy services to access testing and treatment, and set up a discreet choice experiment to identify the most valued attributes of a service. Patient outcomes are currently being assessed. In Tayside, approximately 40% of patients receiving ORT at the pharmacy are HCV positive. Patients with a history of intravenous drug use or who are prescribed methadone should be offered HCV testing – but less than 10% of methadone users are ever tested, and of these fewer than 20% go onto treatment regimes that successfully clear the infection. However, new oral anti-HCV therapies have cure rates greater than 95%, minimal side effects and no need for complex monitoring – and should easily be delivered through novel pathways. 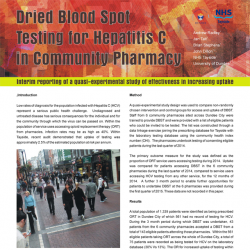 Community pharmacies can conveniently offer HCV testing on site and since pharmacists have almost daily contact with patients receiving ORT, they are in an excellent position to supervise anti-HCV therapy initiation, adherence, and persistence. To understand the experiences and perceptions of people receiving ORT from community pharmacies and gain an understanding of their preferences for testing and treatment service for HCV. To compare the uptake of dried blood spot testing (DBST) by patients receiving ORT though community pharmacies, with the uptake of testing provided by all current providers of testing in Tayside. To design and implement a treatment assessment protocol for pharmacist-led treatment of HCV for genotype 1 HCV and to train a cohort of community pharmacists to deliver this protocol with patients who have tested positive for this infection in their pharmacies.